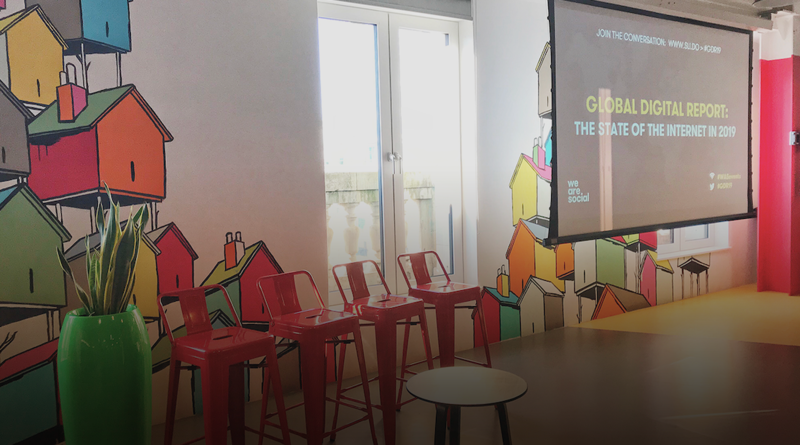 Last week we were really excited to kick off our first campaign with brand new We Are Social client Red Bull, to support the recent launch of the Red Bull Editions. The Red Bull Editions combine the functionality of Red Bull Energy Drink with three specific flavours: Cranberry, Lime & Blueberry. To celebrate the launch, we’ve created a collaborative art project to bring to life the colours of the three Editions through the lens of Instagram - a platform that naturally lends itself to creativity and striking visuals. 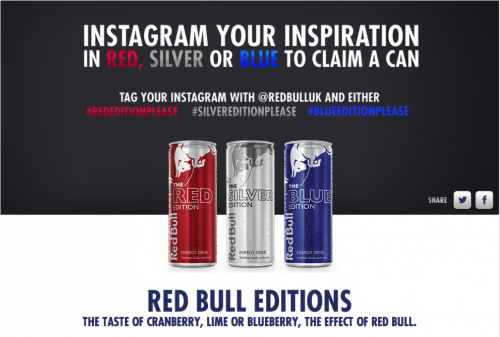 To get involved, Red Bull fans are encouraged to shoot Instagrams with the hashtags #rededitionplease, #silvereditionplease and #blueeditionplease, and include @redbulluk in their caption to qualify their Instagram to appear in the Gallery over at redsilverblue.redbull.co.uk. 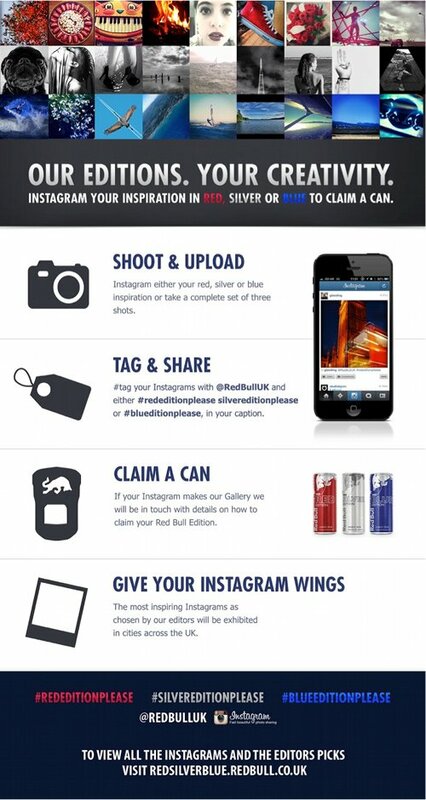 If a user’s Instagram makes it into the Gallery, and long as they live in the UK, they’ll qualify for a can of Red Bull Editions to be sent out them to try. Fans are encouraged to keep submitting as many shots as they can, and as the campaign progresses we’re going to be highlighting the most inspirational shots from all of our submissions as chosen by our editors. Also, to give the most inspirational shots further exposure (forgive the pun), we’ll be showcasing the them in locations around cities across the UK - great in terms of ‘bragging rights’ as the best photographers will see their shots physically showcased around their city. And who are our editors? To really drive the reach of this campaign we approached three highly influential and creative Instagram users to form our editorial team, namely Mike Kus, Naomi Atkinson and Finn Beales. 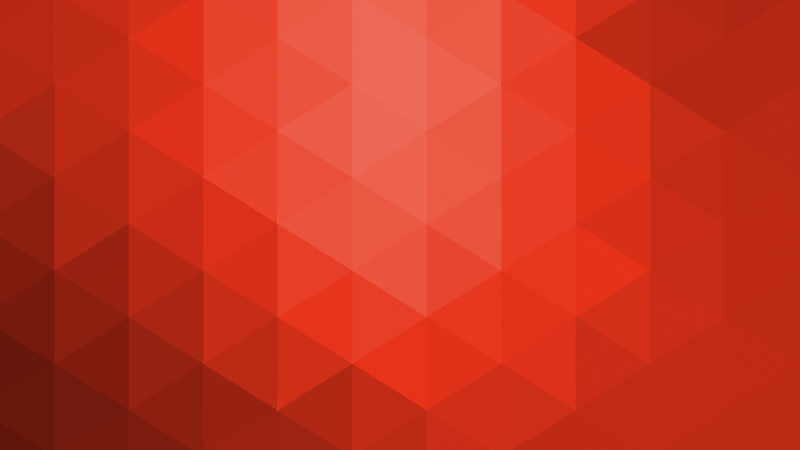 Each will be posting a collection of Instagrams on one of the three hashtags over the campaign period. They each have a very distinct photography style and we’ve already seen some breathtaking submissions from them to kickstart the campaign. Entries are now flooding in, with an amazing level of creativity and attention to detail. What’s been great is that the Instagrams so far have taken in everything from urban cityscapes, stunning vistas, breathtaking sporting moments, classic cars and even macro shots of the seemingly everyday, blown up to produce something unusual and inspirational.